This makes it a nice Monday, for sure. The Young Adult and First Novel categories are likewise packed with fantastic writers and work. Indeed, the entire Locus finalist list this year is really high quality. You can find the whole list here. Here’s a little something I’ve been keeping a lid on until this very moment: I’m back in the film commentary business. The folks at Sundance asked me to write an occasional column on film (every couple of weeks or so), and I said, “heck, yeah,” because, well. I started writing professionally as a film critic, have published two books on film, and love being able to keep a hand in. So yes — I’m once again officially a film columnist. I’m thrilled and pleased Sundance is giving me the space. To start off, we’re doing something thing fun with Star Wars. 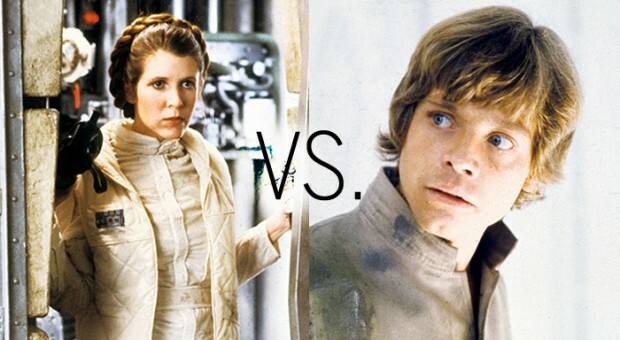 Today is May the 4th, which is an unofficial Star Wars holiday (“May the Fourth be with you”), and in honor of that, we’re asking: In a battle between the dark and light sides, which Star Wars character will stand as champion? To determine this, we’ve created two sets of brackets, one for the light side and one for the dark side. You will decide which characters make it out of brackets for the ultimate showdown between good and evil in the Star Wars universe. This week we’ll vote them down to the final two. In the next installment in a couple of weeks, we’ll put those two head-to-head for the final confrontation. It’ll be fun. Lightsabers might be involved. Here’s the link. Do me a favor and follow it, and vote. And then tell your friends about it. I’d love to have a good first week on the job. Thanks! And to be clear, it wouldn’t be anything close to a difficult choice. And now to cleanse your eyeballs of rank homophobic stupidity, here are some happy puppies. Enjoy them. Update: Torgersen attempts an apology; I discuss it in the first comment in the comment thread.